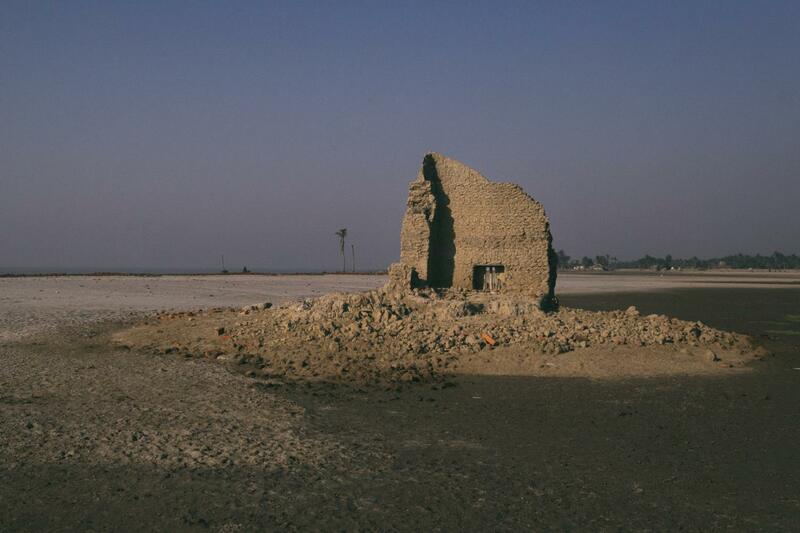 Akhter stands near his lost home, which he had to abandon a ween before. 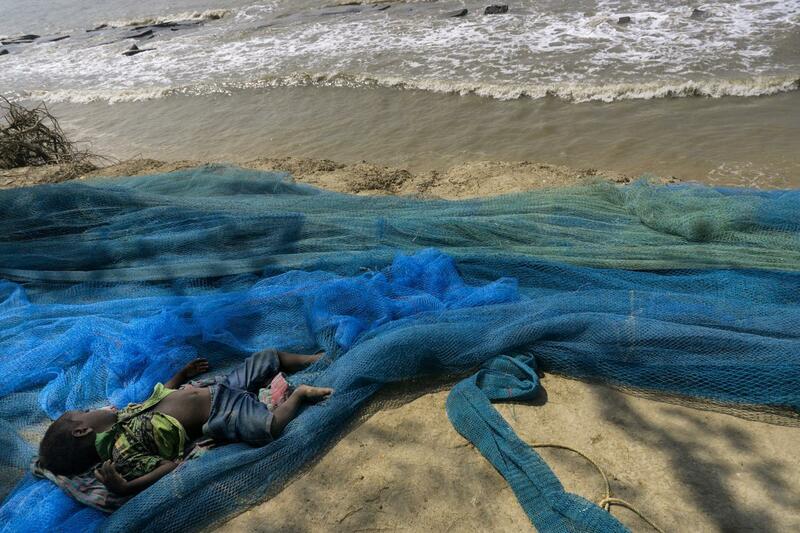 Few weeks later he left the island to work in Kerala in South India. There too, he had to leave due to heavy flooding in recent times during the monsoon of 2018. The earth is getting hotter - the ice is melting and water is expanding. 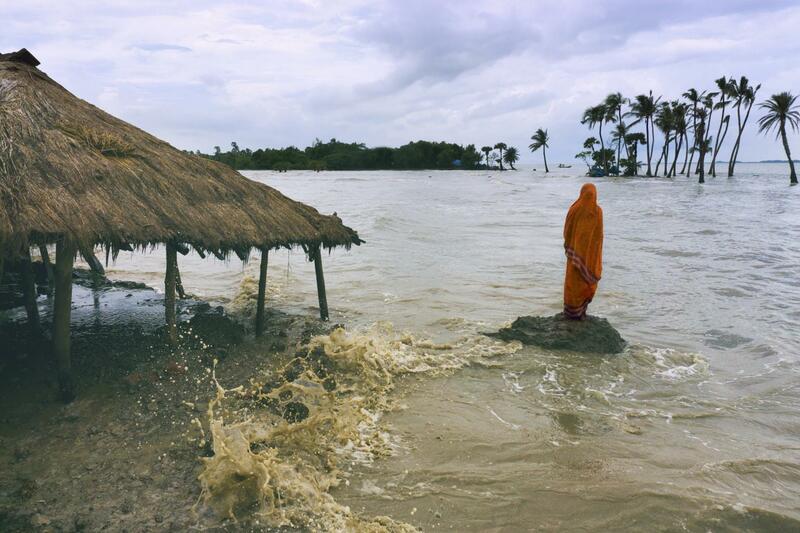 The sea level is rising. 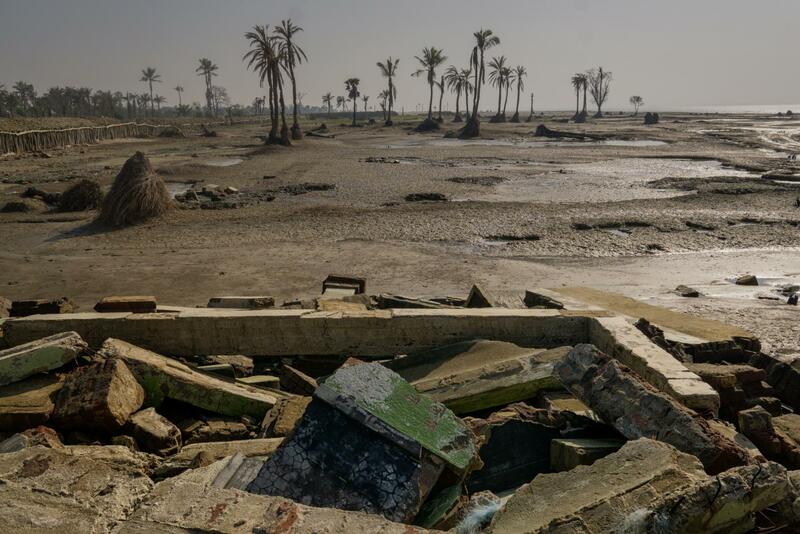 Water is increasing its territory – vulnerable lands are getting submerged, levees are getting eroded, habitats are disappearing, settlers are becoming refugees. This is happening everywhere, this is happening near my home. It is not long before this will affect me, it is not long before this will affect all. 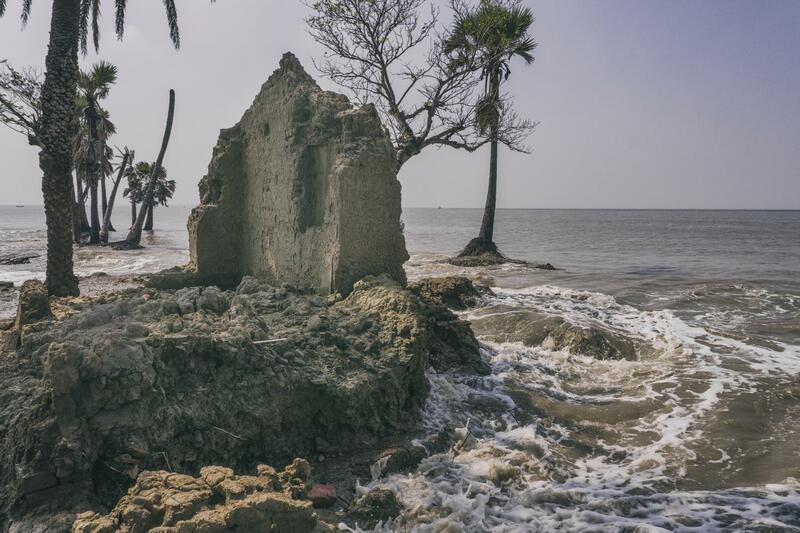 During each high tides, the water engulfs almost half a mile of area consisting of homes, farmlands; eroding it day by day and leaving it unusable. 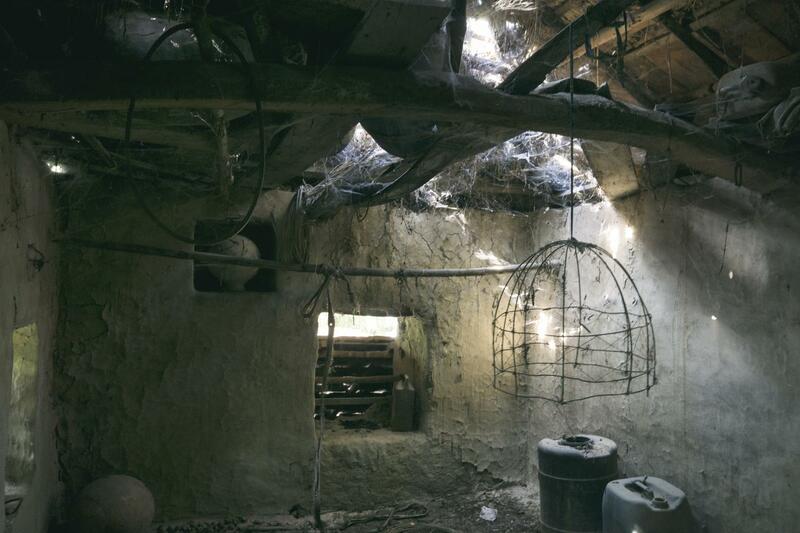 Villagers, owing to their poor economic condition, tries to put up till the last possible day before they are forced to move away. 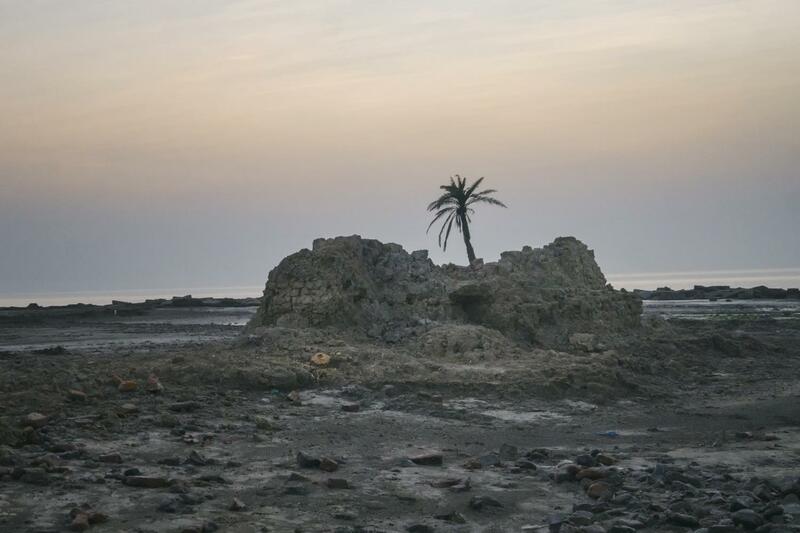 What remains of a home, before it's existence was forever eroded away in the next couple of weeks. 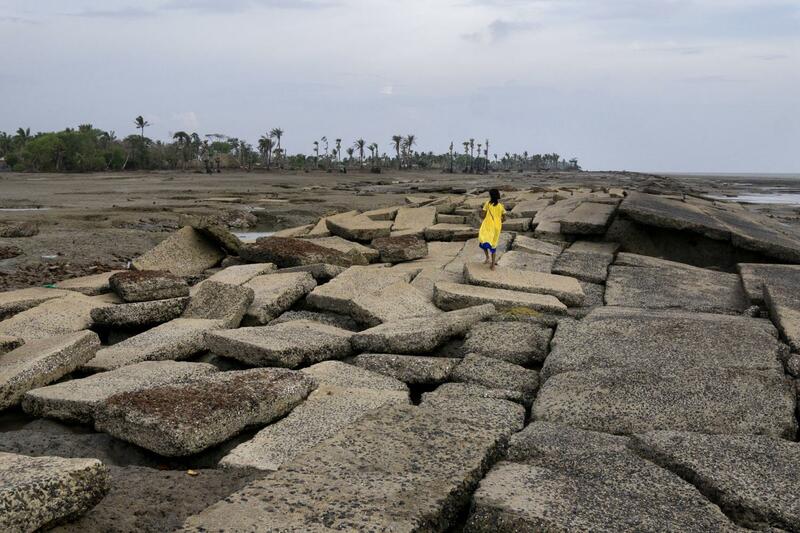 The slab boulders that once played the role of a protector, fell apart during the cyclone of 2009 called Aila. Since then, mud banks, only in certain places, tries to stop the water, failing more than often; while the rest of the area has no levee at all. 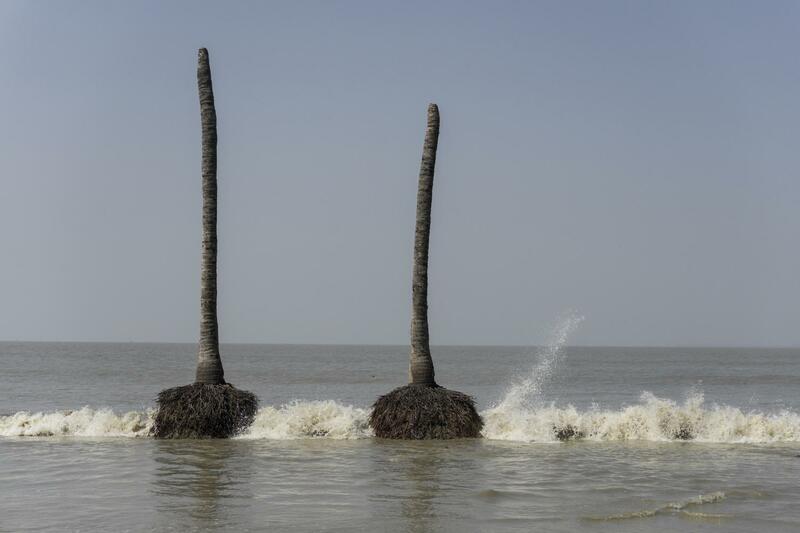 Two dead trees stand testament to the once habitable land, before the water took over. 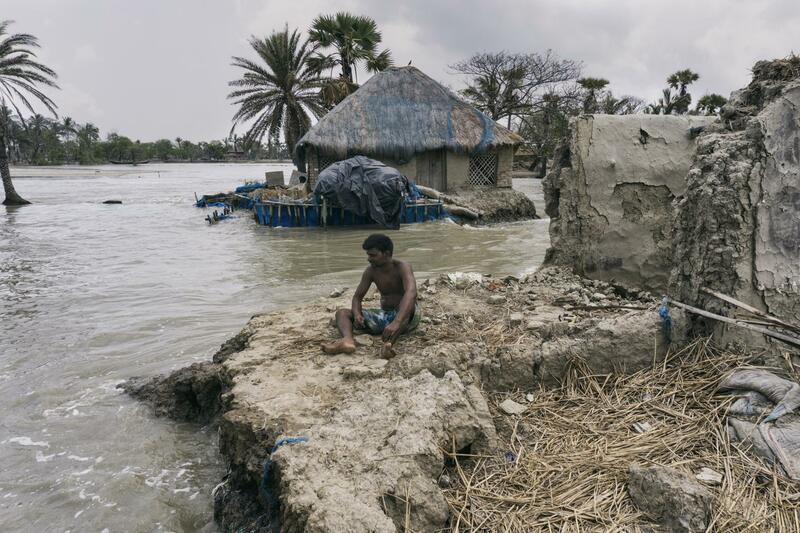 As saline water inundated the farmlands during high tides, and destroyed the soil, farmers had to give up farming and become fishermen for a living. What comes along side is the erosion, which is literally eating up the land. A fisherman walks past a abandoned house. The monsoon is the worst. 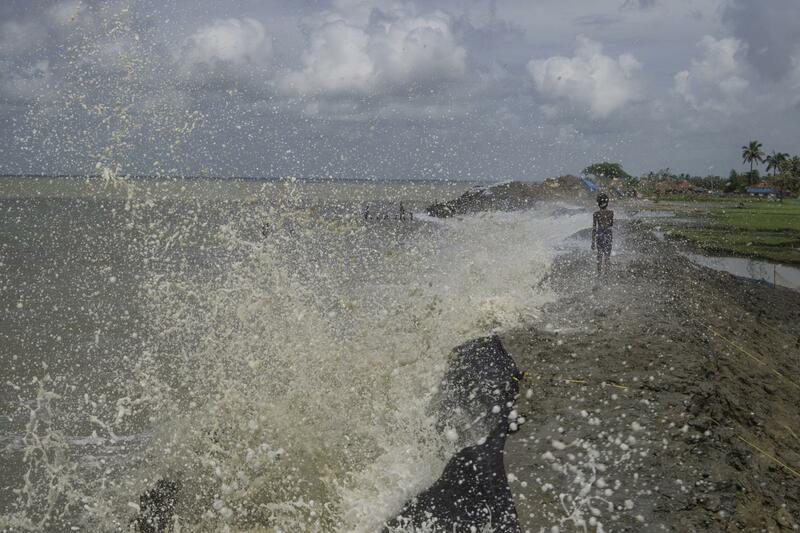 The rain and the high tides, whose magnitude gets amplified, wreak havoc. 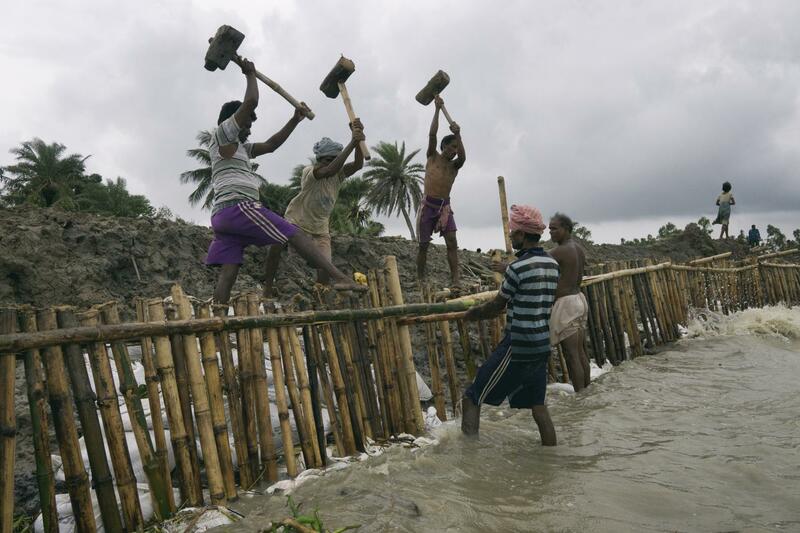 During monsoon, men works tirelessly to protect the mud banks. 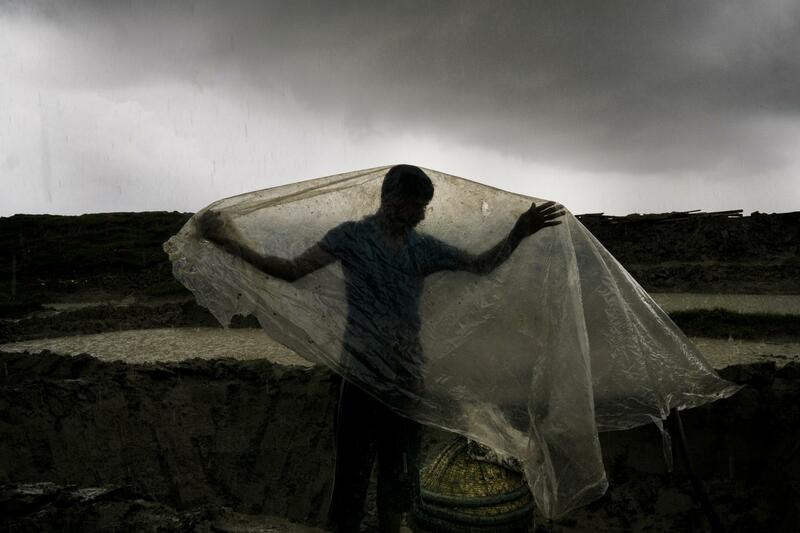 A man here, working at a levee, trying to keep himself dry from the rain with a sheet of plastic, in the absence of other options. 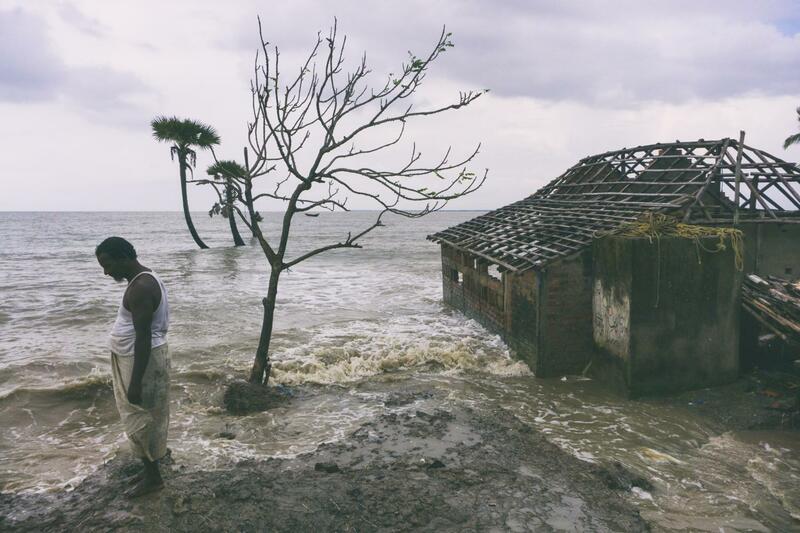 As the high tide approaches, men work on a vulnerable portion of the mud bank. 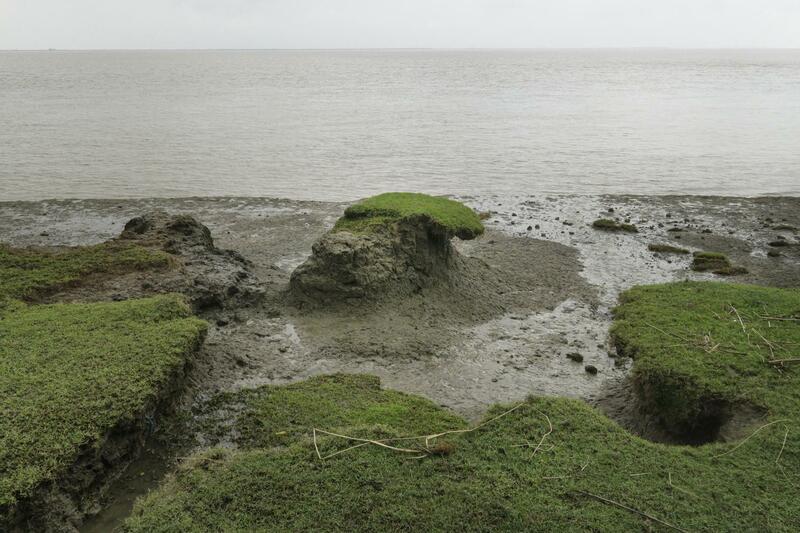 The mud banks take enormous toll during the high tides. At the best they hold out for 5-6 months before it becomes impossible to maintain them and a new one has to be build further inland. Fatema lost his home at Baliara in the monsoon of 2016. She stands where her home once stood. 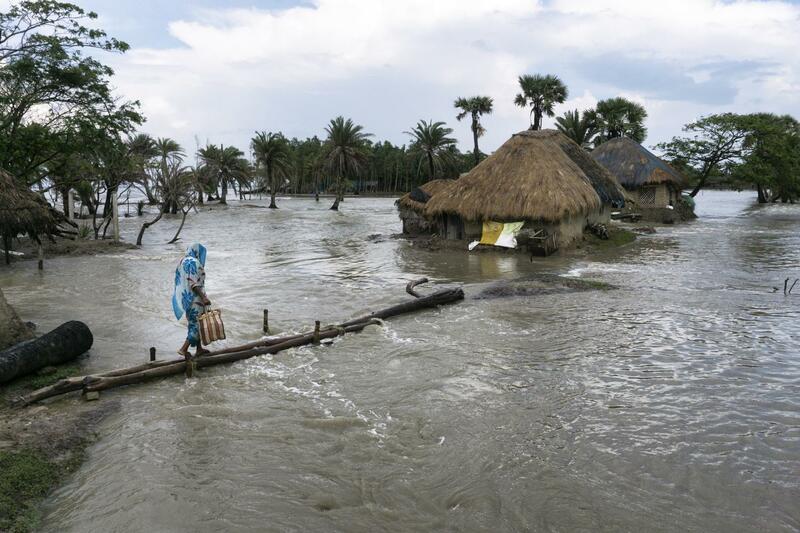 Her family lost 3 acres of farmlands and had to relocate to the Sagar island. 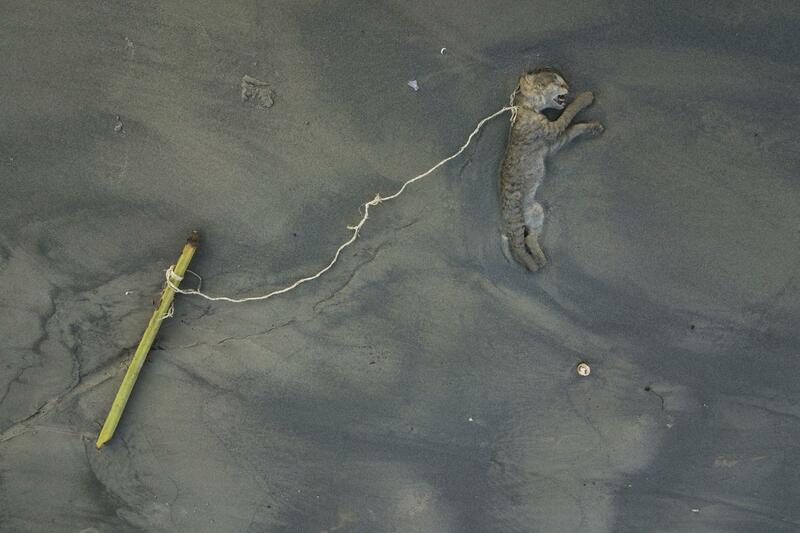 A pet cat that got washed away and died during the high tide. Animals like goats, chicken, dogs often get trapped during the high tide and drowns. 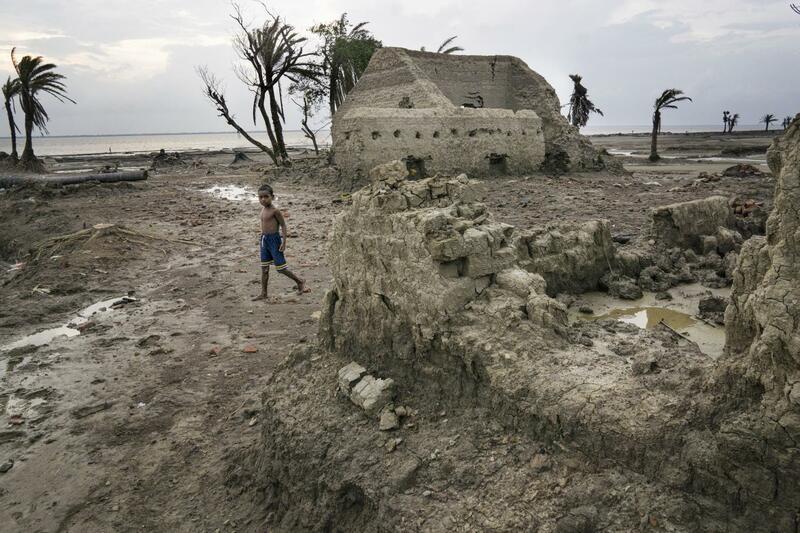 Mustaqin watches helplessly as water gushes inwards, past his lost home. Inside of an abandoned house. 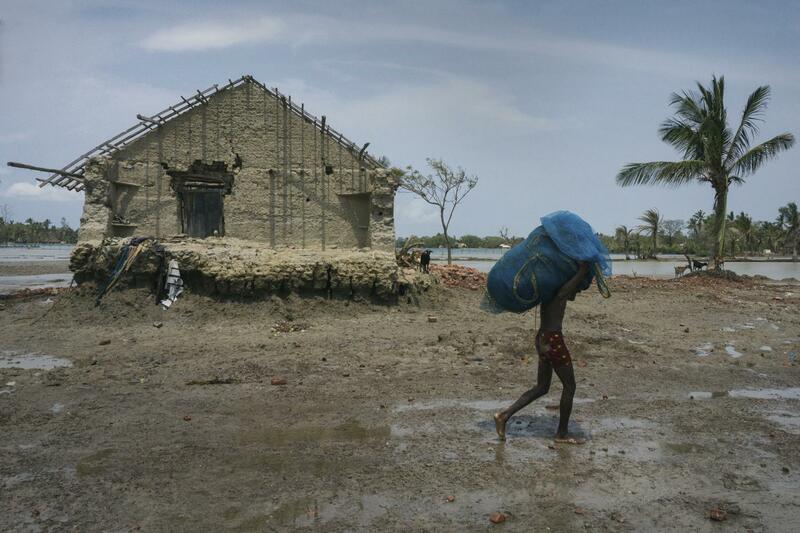 Haldar's family lost their home in one night. They had to evacuate with whatever little they could and had to stay under open sky for almost a week. 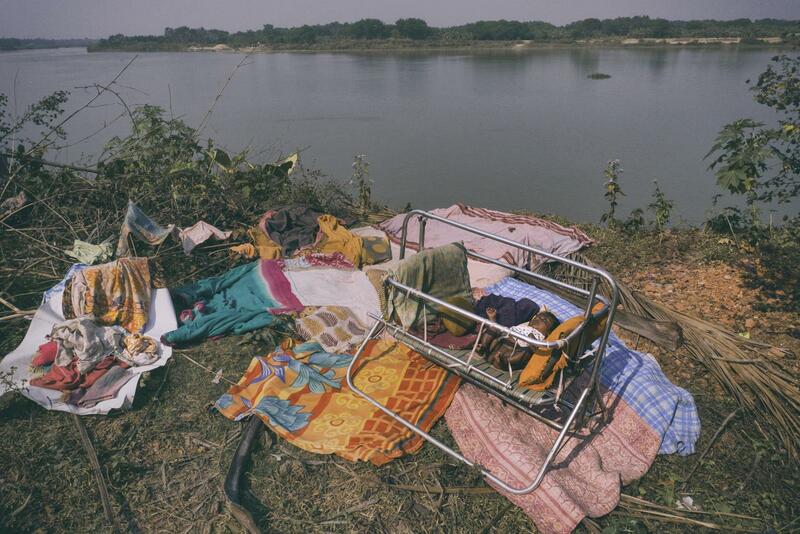 Here, their baby daughter lies in the open, photographed during that week. It is not long before the entire region would bore the same look of loss and forgotten memories.